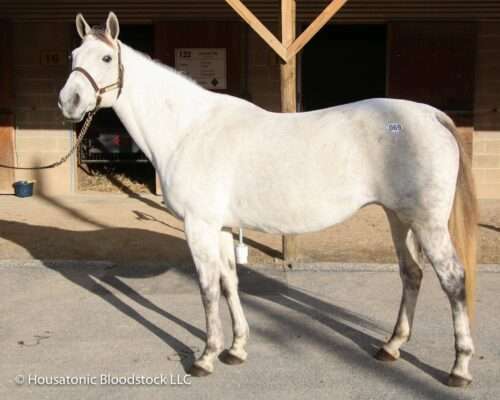 Our latest Housatonic Recommended Mating is one of our favorite kind, when the “nick” is a good one and the mare’s female family has also worked with horses related to the stallion. 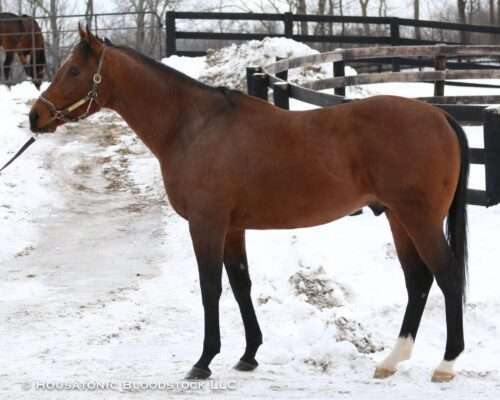 In this case, both of those factors will be present when Miz Magician visits the impeccably bred and incredibly fast incoming New York stallion Redesdale later this spring. Miz Magician is a daughter of Mizzen Mast, a multiple Grade 1-winning son of Cozzene, who is the sire of Grade 1 winners on both dirt and turf, like Flotilla, Mizdirection, Mast Track, etc. As a broodmare sire, he has already produced the dams of numerous stakes winners, including Graded/Group winners Ready To Act, Flying Jib, Texas Air and South Seas. Miz Magician is a half-sister to the Grade 3 multiple stakes-winning sprinter and leading Maryland stallion Street Magician (by Street Cry), as well as to the stakes producer Wouldthisbemagic. Her dam is a half-sister to the multiple stakes producers Star Kell and Keeper Kell, all three of them out of stakes winner Special Kell. Redesdale, meanwhile, was brilliant in winning his first three starts impressively, all at 6 furlongs on dirt at 3- and 4-years-old, but he then suffered what proved to be a career-ending injury in his stakes debut. However, as much talent as Redesdale showed on the track, it is his pedigree that makes him as exciting a stallion prospect as we believe him to be. He is by Speightstown, a top-class stallion and rising sire-of-sires, whose sons at stud already include the likes of Munnings, Jersey Town and Poseidon’s Warrior (all sires of Grade 1 winners) and 2018 Top Five Freshman Sire Central Banker. And even more intriguingly, Redesdale’s dam, the Graded stakes-winning sprinter Harpia, is a full-sister to Danehill, the all-time world-wide leading sire of stakes winners (with 349) and Grade/Group 1 winners (with 89), whose legacy continues to grow through his stallion sons and broodmare daughters. Furthermore, Harpia’s dam, Razyana, is out of Spring Adieu, a half-sister to the breed-shaping stallion Northern Dancer and to Raise the Standard (the second dam of champion and important stallion Machiavellian), all three of them out of Natalma — and since Danehill and Harpia are by Danzig, a son of Northern Dancer, the pair are inbred 3×3 to Natalma. Natalma is, in turn, out of Almahmoud and thus a half-sister to Cosmah, the dam of Grade 1 winner and leading sire Halo. So looking at this particular match, and addressing the “nick” first, Speightstown over Cozzene mares has produced Grade 3 winner Despite the Odds and stakes winner Who’s In Town (who was DQ’ed from the win in a Grade 2), while Speightstown’s son Munnings is the sire of a stakes winner out of a mare by Mizzen Mast — good for an A++ TrueNick rating. Among Mizzen Mast’s Graded winners as a broodmare sire, Grade 2 winner Ready To Act is by More Than Ready, a son of Southern Halo — and Southern Halo is by Halo out of a Northern Dancer mare, so he has two crosses of Almahmoud close-up in his pedigree, just like Redesdale does through his dam’s inbreeding to Natalma. Another of Mizzen Mast’s Graded winners as a broodmare sire is South Seas, by a stallion called Lope de Vega who is inbred 3×3 to Machiavellian — a stallion mentioned above who is also from the same female family as Redesdale, meaning South Seas also has Natalma appearing twice close-up on top of his pedigree. Taking a look next at Miz Magician’s female family, her Graded-winning half-brother Street Magician is by Street Cry, he a son of the aforementioned Machiavellian (whose pedigree features Mr. Prosector over Natalma, like Redesdale’s does), while her dam’s half-sister Star Kell has produced a stakes winner by Street Cry’s son Street Sense, further proof that the family likes this blood. This mating, in addition to the building up of Almahmoud lines (she will appear 8x6x6x7 in the pedigree of this foal, the first three lines coming from Redesdale’s three crosses of Natalma via Northern Dancer (twice) and Spring Adieu, while the fourth line appears via Parfaitement (the broodmare sire of Miz Magician’s dam) who is by Halo, he out of a daughter of Almahmoud), also creates some very interesting inbreeding closer-up, with the full-brothers His Majesty and Graustark appearing 4×4. The combination of His Majesty on top and Graustark on bottom appears in the pedigrees of no fewer than 100 stakes winners, including Danehill’s Group 1 winning champions Rumplestiltskin and Mozart. Physically this is a nice case of like-to-like, as both Redesdale and Miz Magician are good-sized, strong-bodied horses with plenty of length. Although there are both turf and dirt influences in this pedigree, whatever surface this foal ends up at its best on, it should be fast, given the speed of Redesdale and his sire-line, not to mention that of Danzig and Danehill, while Mizzen Mast was a Grade 1 winner at 7 furlongs, and Miz Magician’s half-brother Street Magician was a pure sprinter as well. We can only hope this foal ends up as fast and talented as its pedigree says it should be.